Gilda Lyons asked me to write a piece for the Hymn Tune Project. Some 35 hymns were requested by the parishioners of St. Matthew & St. Timothy. When the hymns arrived in the mail, I was thoroughly caffeinated and compelled to set all of them into a four-evening-mega-symphonic-multi-opera-cycle that will fill United States of America with glory. That’s when the real difficulty began: I became a teenager in front of a dessert cart. Eventually, I didn’t have the heart to rip it apart, so the decision was mostly intuitive: they will have to resemble but be a contrast, and some kind of parallel but contrary. 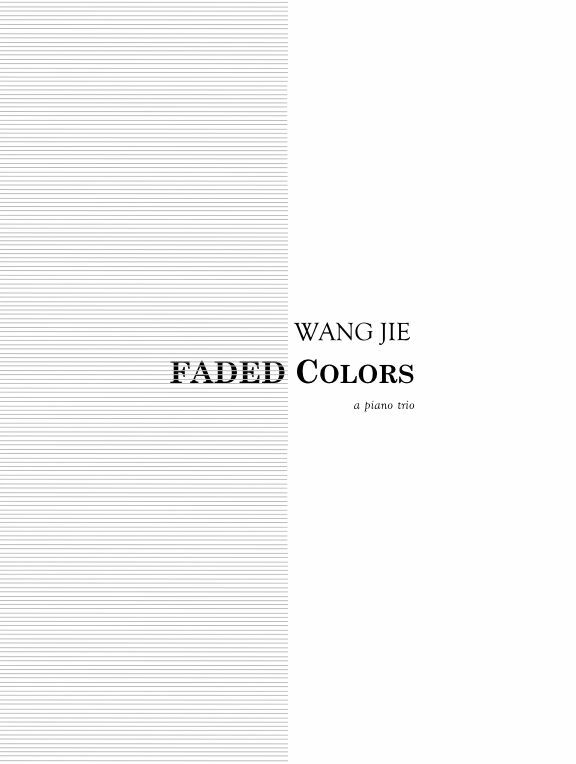 The way I see it: FADED COLORS is a complimentary to De Colores. So it is perfect that you will hear them presented together as a pair.